With the growth of Corporate Entertainment one name has come to the forefront, in the field of both function entertainment and after dinner speaking, that of Adrian Walsh. He has an encyclopaedic knowledge of comedy enabling him to tailor his performance to both audience and venue. He is in demand, not only for cabaret and theatre, but for conferences, after dinner speeches, award ceremonies, golf/sportsman’s dinners and product launches. No other comedian in Great Britain today has a greater sense of occasion. Working with such international stars as Glen Campbell, Neil Sedaka, Petula Clark, Gladys Knight and the Pips, Shirley Bassey and Barry Manilow has made Adrian into one of the most sought after comedians in Great Britain. Adrian has worked in all aspects of the media including theatre, cabaret, conferences, product launches and after-dinner speaking. He has also appeared in many countries abroad including America, Canada and Africa, plus numerous corporate functions throughout Europe. He is at home with both British and American audiences making him in demand to work on cruise liners all over the world. 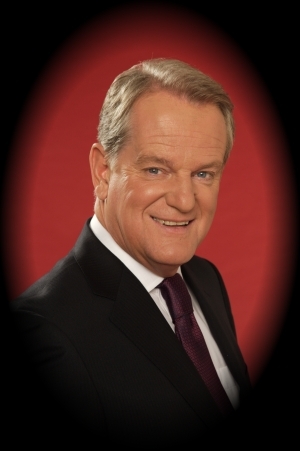 He has made over 300 radio and television appearances, most recently as a regular on Today with Des and Mel. He is constantly travelling abroad giving talks to the world’s largest corporations and he has built a reputation where he is known as ‘The Giant of Corporate Entertainment’.